Murakami is one of my favourite authors of all time. Barring Dahl, he’s probably the author whom I’ve read the most number of titles from. Here are my top 5 favourite Murakami pieces. Also known as ‘The children of the gods all dance’, After The Quake is Murakami’s stories as a response to Japan’s 1995 Kobe earthquake. The six stories aren’t related other than they stand at the peripheral of the occurrence of the earthquake. However they do share some of the same motifs and themes. I like that the premise of all of the stories are affected by earthquake but also lead separate plots adjacent to the event. In that sense I think it represents how a lot of us feel about natural disasters that don’t directly affect us. You’re connected through the ripples of the outcome that continue to resonate long after it has happened. Super-Frog Saves Tokyo is probably my favourite of the lot and for obvious reasons reminds me a lot of Naruto! 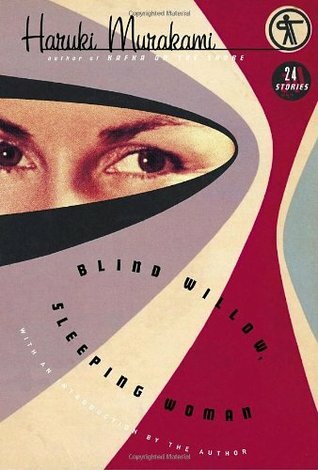 The most memorable story from the Blind Willow, Sleeping Woman collection for me has to be ‘Fireﬂy’. I’m probably biased because it’s the root of Norwegian Wood (ha-ha). I think some of Murakami’s short stories tend to drive people crazy in the sense that they seem to be about nothing in particular and most punishing of all, that there is often no resolution at the end. Firefly can be kind of like that. However, I read Norwegian Wood first so I understood a lot of the nuances in Firefly and didn’t feel like I was left hanging precisely because a continuation to the story existed. It might be different if I had read them the other way around. 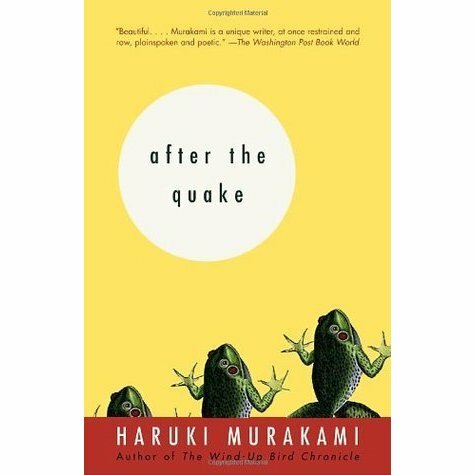 Murakami’s most recent novel and another little controversial one. I heard mixed reviews some saying it was good and a nice return to the more linear narrative style of Norwegian Wood, while others said it was just bad. I found the beginning to be a little bit slow but persevere and you will be rewarded! The premise is simple, four best friends of Tsukuru cut him out of their lives with no explanation. He’s lived since, always on the brink of death, feeling “colourless” until many years have past and he’s now had to confront them to ask why. My favourite part had to be when Tsukuru returns to his hometown to meet his friends and to see the paths they’ve all gone down after parting ways. Love and lost and coming of age stories are things that everyone can resonate with. Even some of the supernatural motifs (Murakami’s bread and butter) in this story feel apt and not too outrageous. 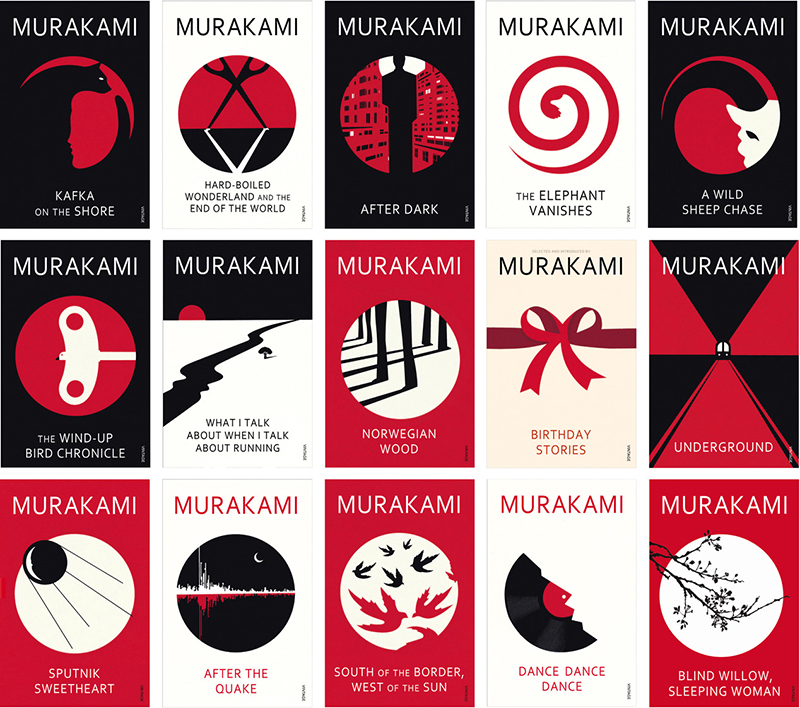 Most successful of all with Murakami’s stories is his ability to pull in other foreign cultures, particularly European culture, into his typically Japanese based stories and make it work. 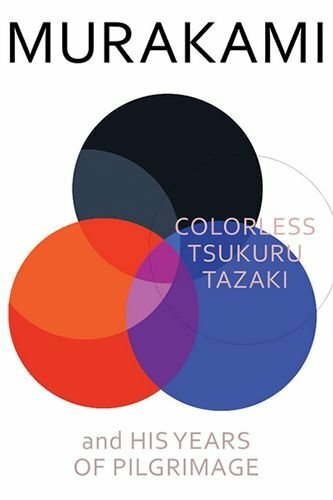 Without giving too much away, Colourless takes you on a journey beyond Japan but the transition is so seamless you’d believe that borders don’t exist in his frame of mind. 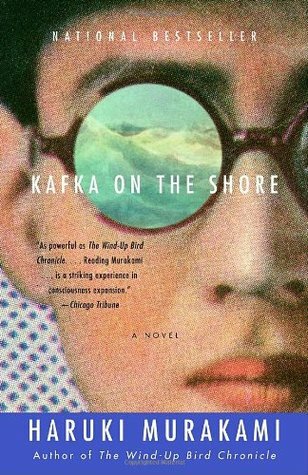 Kafka on The Shore has two separate but intertwined stories that take turns in alternating chapters. The odd chapters are Kafka’s story, a boy who has run away from home to escape an Oedipal curse. The even chapters are Nakata’s story, an older male with a slight oddity about him but possesses extraordinary powers in finding lost cats. (Lost cats and cats in general are a recurring motif in Murakami plots). I find that while most of Murakami’s work is very soft in tone and style, Kafka is the anomaly where I find the characterisation and dialogue to be quite harsh. Kind of like how Japanese is a soft language and then you have Kansai-ben which has a ‘rough’ take on it. I’m usually not a fan of parallel stories because I tend to favour one over the other and will skim read the lesser liked story to get to the next one quicker. This wasn’t the case for Kafka, both were equally compelling in their own way. With so many mentions above about Norwegian Wood, it’s no surprise that it’s my number 1. 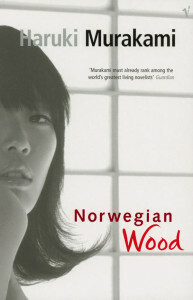 Norwegian Wood was my first Murakami and to date is still the most memorable one for me. The story revolves around Watanabe and Naoko’s life after the suicide of Naoko’s soulmate Kizuki. Similar to Colourless (or Colourless is similar to this), Murakami dangles his protagonists in the face of death so convincingly you’re left wondering if the words on the page would just stop abruptly. In terms of style, Norwegian Wood is actually an oddity as far as Murakami novels go precisely because it lacks the oddness. No talking cats, weird sexual fetishes or paranormal activity so much that it barely scratches the surface in Murakami Bingo. There’s nothing fancy or overcomplicated about the Norwegian Wood plot but each character right down to Storm Trooper is highly complex. I like to joke that Murakami is my religion but in many ways the reading of a Murakami piece does fill me with the same kind of quietness I hope to replicate in my day to day. Thanks! I’m definitely going to give Running a shot after I’ve finished my current read. Norwegian Wood was transformational for me so I’m glad to hear it was for you also. He’s such a great story teller. I started to think that perhaps Yuzuki (from Colourless) was the manipulating yet beautiful child Reiko taught piano to in Norwegian Wood. Yuzuki becomes a piano teacher and we know that she has lied about being raped by Tsukuru. Also, both characters are extremely beautiful but are unstable/ perhaps mentally ill. Not saying they are the exact same character but perhaps the author wanted to see where a character like Yuzuki would end up! Sorry for the late reply! But that’s a really interesting theory! I wonder if it’s possible to string all of Murakami’s novels into one timeline, kind of like how they’ve been trying to figure out Pixar’s timeline with their movies. Yuzuki also had a lot of parallels to Naoko I felt. I think Murakami just loves the characterisation of people that are so impossibly beautiful and fragile. Pure but with a dark side.